Safe Haven Buying Entering Gold Stocks? David Erfle joins me today to share some thoughts on the moves we saw yesterday in gold stocks compared to US equities and the USD. Over the past few months we have seen gold stocks move with the US markets. 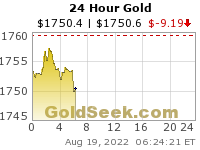 Yesterday however with the US markets down the gold stock finally got a bid. It is still a stock pickers market but if the attitude towards the stocks changes that could be very good moving forward. Click here to visit David’s site. 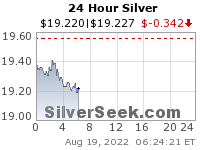 My silver miners negatively diverged from silver yesterday and are positively diverging so far today. We’ll see how they close but this is some crazy action. Back to back reversals. I am holding out hope that we head much higher from here, but right now I am expecting just the opposite based on cycles, the gold CoTs and where the yen and commodities are on their weekly charts. Who really believes the employment report is going to be anything less than stellar or at least lukewarm this Friday? This is setting up the metals and miners for a drop as USD rises (especially against an overbought yen). GLD:SLV ratio has taken almost 2 years to crawl back to the the 2015 high. That high is almost guaranteed to be broken at this point, probably in an explosive manner. All guess work……..nobody knows anything……..and that is for sure…….